Making the decision to place a family member in a skilled nursing and rehabilitation center for long-term care is one of life’s most difficult and emotional challenges. When it becomes apparent that care at home is no longer going to be enough, we are here for you and your family. THE GRAND offers a comforting alternative and strive to be progressive with our approach to wellness. 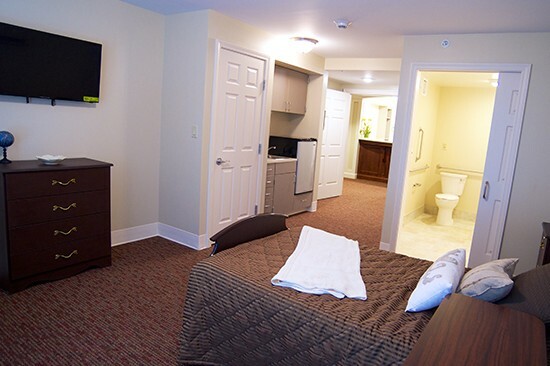 When it comes to the highest quality of skilled nursing and rehabilitation services, THE GRAND of Dublin is among the best of its kind. Our dedicated team if healthcare professionals are committed to meeting a wide range of personal and medical needs with care, compassion and consideration. At THE GRAND all of our rooms are private with their own private showers. Short hallways make it easy for our residents to enjoy meals in one of our neighborhood dining rooms.